A latch is used to keep the door, glove box, center console, trunk and hood closed and then allow the item to open once the latch has been released. This common part has a common problem which is if the latch clasp falls closed while the door or item is open the latch will not work. This is because the striker that is supposed to be inside of the latch clasp is trapped outside while the striker bounces off of the backside of the clasp. A striker is used on the opposite side of the latch and is what the latch hangs onto to keep a particular item closed. 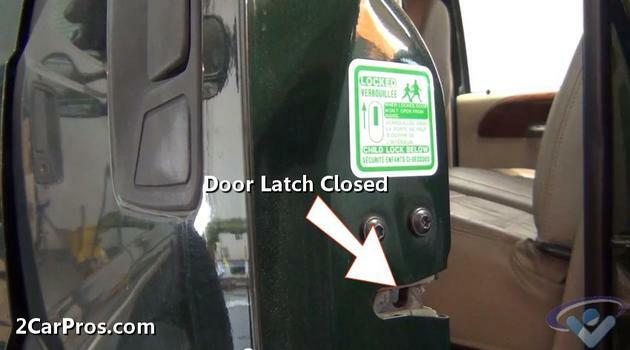 When the latch is released the striker is free to move outward from the latch allowing the door to open. 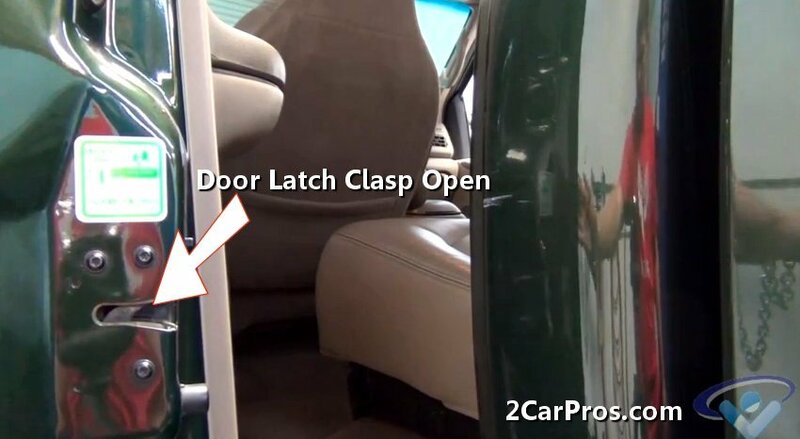 Occasionally when a latch is opened it can have a rebound effect that can sometimes close the latch just after releasing the striker causing the door or item not to shut once opened. When you try to shut the door it will bounce abruptly and then stay open. A repair shop will fix this problem for no charge if they are upstanding and want to help the customer. You can fix this problem yourself using a simple ink pen or screwdriver. 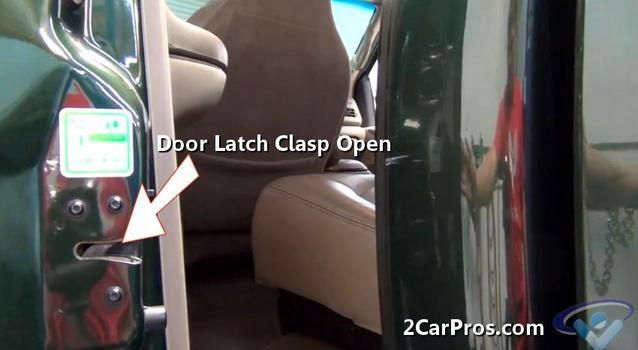 Inspect the door latch to see if the orientation of the clasp is in the closed or open position. You will be able to tell this because you will see and open place surrounded by the clasp. This open place is where the sticker would normally be when the door is closed. While using a screwdriver inserted into the latch clasp hold the door handle open. 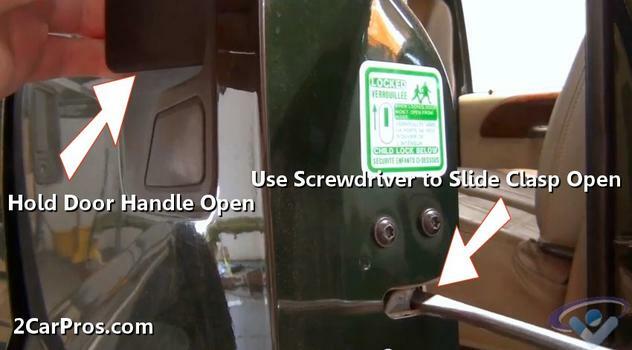 Pull the screwdriver outward from the door latch. This will reopen the door latch. This operation is easy so almost anything can be used to open the latch. Once the door latch clasp has been released the door will return to normal working order. Close the door and reopen it to confirm the fix and you are all set. If you have any door latch questions, please visit our forum. If you need car repair advice, please ask our community of mechanics is happy to help you and it is always 100% free.